Zufällig MCR pics. if any of these pictures are yours, tell me please!! most are from tumblr, and i know they aren't all regular photos. it doesnt let me separate them like that.. Wallpaper and background images in the My Chemical Romance club tagged: my chemical romance danger days: the true lives of the fabulous killjoys mcr. if any of these pictures are yours, tell me please!! most are from tumblr, and i know they aren't all regular photos. it doesnt let me separate them like that. This My Chemical Romance photo contains gut gekleidete person, anzug, hosenanzug, and pantsuit. There might also be oberbekleidung, überkleidung, overclothes, lange hosen, lange hose, hosenbein, and pantleg. 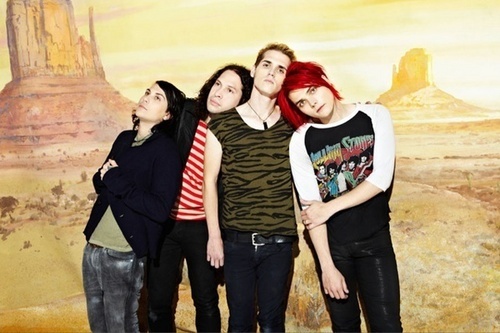 why is frank staring at the sky???? ?